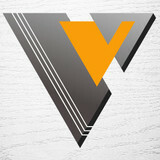 Verion Floors is a wholesale outlet for some of the most reputable brand name flooring mills in the world. We offer solid & engineered hardwood floors from Canadian mills including Appalachian, Ashawa Bay, Lauzon, Mercier, Mirage & Superior as well as American mills including Mullican & Somerset. We also offer European style hardwood from Kahrs & Bella Cera as well as exotic South American hardwood from IndusParquet, Nature & Triangulo. Our showroom also includes bamboo floors from Teragren, Cork flooring from WECork, Vinyl floors from Armstrong, Congoleum, FreeFit & Mannington as well as laminate floors from Armstromng, KronoSwiss, Mannington & Quick-Step. We offer a complete line of accessories & tools including adhesives, transitional molding, underlayment, finishing stains and maintenance products. We pride ourselves on exceptional customer service that is built on product knowledge, honesty, integrity and trust. Please browse our expansive website, come in our showroom in Raleigh, NC or simply call us toll-free at 1-800-674-8088 for more information. LHF. Inc. was founded in 1983 by Daniel Lee. Daniel started his career in hardwood floors in 1980 traveling the Southeastern coast installing gymnasium floors. Some of the gymnasiums Daniel worked on include the Dean Smith Center and North Carolina Central University. Daniel's solo career began with one truck and one helper. 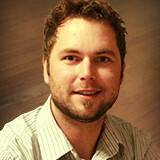 Daniel would work during the day installing and finishing hardwood floors and at night estimating the next hopeful job. Lee's has grown into the largest source of quality hardwood floor installation and refinishing in the Greater Triangle area. Lee's has grown into a company with unmatched service and quality. That is apparent as soon as you enter our 6000 square-foot showroom. Lee's is a family owned and operated company with hands-on participation from Daniel Lee and his wife Tina Lee. Daniel is responsible for the estimates while Tina runs the day-to-day operations of the office, scheduling jobs and ensuring that every customer receives first class customer service. Professionally sanding, finishing and installing hardwood flooring for over 30 years. We are a family-owned and operated business, located in the Triangle Area since 1965. We specialize in wood floor installation, refinishing and repairs in your existing home or new construction. Being a family owned and operated company, we’re able to offer you that personal touch you’ve been looking for. Our goal is to offer customers a quality floor that brings beauty into their home. Contact us to schedule your free in home estimate. 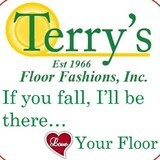 We are family owned and operated and we are honored that your family has chosen ours for it’s flooring needs. Bradley’s Flooring and Paint is a member of the Better Business Bureau and Apex Chamber of Commerce and over the years we’ve received volumes of accolades from our customers. Ones that have led to referrals, and in return, even more satisfied customers. Since 1997 we have been serving the Apex, NC community with integrity, trust, and dedication. Here, our roots grow deep and not only do we care about maintaining the history and integrity of our area, we truly care about you and your home! Stop by our showroom and see what we mean! Give us a call today and ask us about our turnkey solutions can work for you. We’ll give you plenty of good advice on paint, supplies and flooring and a great selection of the products you need to make your house your home! We love to make it easy for you and offer lots of additional customer service options that you won’t get from the big box stores. Our friendly team knows just what you need for your home and will take great care of you. We are also a Benjamin Moore Paint Dealer! Impressions Flooring Flooring was designed to meet the needs and desires of today’s most selective and active homeowners. Impressions Flooring offers a wide range of products from solid to engineered, smooth faced to handscraped in multiple widths and grades all in today’s most popular wood species and colors. All of our products are manufactured with the highest quality standards and are backed by a lifetime finish and structural warranty. Impressions Flooring is an exceptional product that will add value and beauty to your home. We will be happy to arrange a free consultation and estimate from one of our displaying retail dealers. We will be happy to arrange a free consultation and estimate from one of our displaying retail dealers! My appreciation for beautiful hardwood flooring began as I watched my father install hardwood floors over 35 years ago. After graduating from Rochester Institute of Technology and spending ten years learning the art of customer service, managing labor, materials, and profitability, I decided to return to my love for working with my hands and transforming spaces with hardwood flooring. Today, I live with my two boys, Cullen and Dutch in Wake Forest, North Carolina. In my spare time I enjoy playing hockey, going to Atlantic Beach with my family, and surf fishing. It’s time to give yourself the home you’ve always wanted — it’s time to call Southeastern Interiors. A one-stop-shop service, our trained design and sales team can walk you through every step of the process of picking out flooring and tile, coordinating paint colors, and provide project management services for installation. We offer free estimates and design services to ensure you get exactly what you are looking for. From small backsplashes to whole home renovations, we can do it all. Visit our BRAND NEW showroom today! For over 20 years, the skilled team at Southeastern Interiors has provided incredible residential construction services to clients in the Raleigh area. We provide our customers the finest in craftsmanship, materials and support, all in cost-effective, timely manner and regardless of the size or budget of the project. The BABA Mill, located on a farm in Pittsboro, NC, provides the highest quality antique wooden flooring throughout the country. Best known for our original surface Fumed Antique Oak, Fumed Antique Chestnut, and Wide Board Antique Heart Pine. If you're interested in a more modern surface we also offer Fumed Old Growth Oak, Cherry, and Walnut. We provide matching stair treads, risers, saddles, casework, and proprietary, as well as custom finishes. Installation and/or on site finishing can be handled by us, or we will work closely with your own crafts people. Samples are available upon request. Recycling aged wood allows us to play a role in preserving our beautiful forests. BABA aged wood is salvaged from century old buildings that can no longer be restored. Passed down to us from an epoch when virgin forests reigned over our earth, it’s denser, stronger and heavier than any wood we have known in our lifetime. The paradox of this is that not only is aged wood most beautiful, but it’s use is beneficial to mankind. What kinds of services do hardwood flooring installation professionals in Durham, NC provide? Find hardwood floor experts in Durham, NC on Houzz. 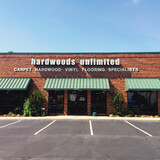 Search the Professionals section for Durham, NC hardwood flooring installers and dealers or browse Durham, NC photos of completed installations and look for the professional’s contact information.